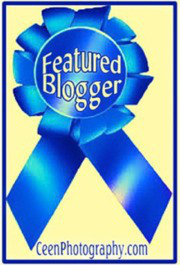 ← Looking for Bloggers? Looking for a Meet and Greet?!? Check out this thread! An infant is born and sleeps around the clock. She grows, leaves school and punches a time clock. Before she knows it, she is hearing her biological clock ticking away. Give us 33 words (exactly) that tell us three different uses for one object. But don’t just tell us that a can opener can be used to 1) open cans, 2) open beer bottles and 3) break a window in case of a fire. Tell us a story. It won’t be easy, but you guys are far beyond needing easy prompts. Very cool – you really captured and succeeded in giving the clock 3 different meanings and uses. Nice! Thank you Marie! I almost didn’t do this one. Nice response! We really are ruled by the clock, aren’t we? Oh yes Janna! I am obsessed with time. Thank you for stopping by! I hope she’s got some other stuff going in her life! Really though, this is well done. Thank you! In 33 words that is her whole life LOL! Very unique interpretation of the prompt. Time is the essence of our lives. Love this! Almost like, she was born, she died, the end LOL! Thank you for stopping by! Time is a-ticking away all the time! A clock! Pretty clever. Time clocks–just the idea of them makes me anxious. 🙂 Great job with the prompt. Thanks for linking up. Tick-tock-boom! I liked it, especially the way that the clock heralded a cycle. Thank you! Things do tend to run in cycles at times I think. Wonderful answer to the prompt! Thank you! Thought of it at the last minute…deadlines sometimes help my creativity LOL! Thank you Linda! Had fun with this one! It was one of those last minute, thought I was going to skip this prompt, moments. Like this a lot. Great use of this prompt. Thank you Paula, very glad you stopped by!